Meet Daisy Winters. 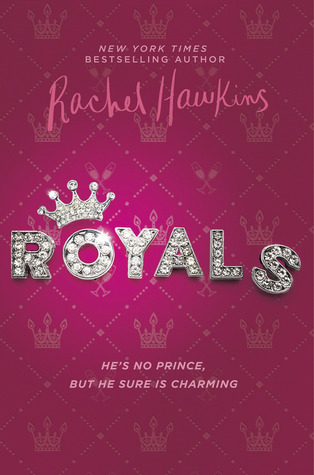 She's an offbeat sixteen-year-old Floridian with mermaid-red hair; a part time job at a bootleg Walmart, and a perfect older sister who's nearly engaged to the Crown Prince of Scotland. Daisy has no desire to live in the spotlight, but relentless tabloid attention forces her join Ellie at the relative seclusion of the castle across the pond. 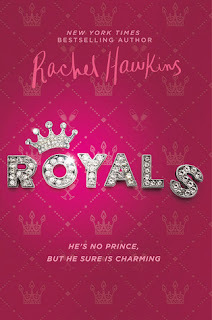 While the dashing young Miles has been appointed to teach Daisy the ropes of being regal, the prince's roguish younger brother kicks up scandal wherever he goes, and tries his best to take Daisy along for the ride. The crown–and the intriguing Miles–might be trying to make Daisy into a lady . . . but Daisy may just rewrite the royal rulebook to suit herself. This book was a lot of fun to read! Watching Daisy go on this roller coaster ride, getting into trouble, either because of who she is, or from the royal family trying to control her and the image she presented to the public...it was just hilarious! The point where she insults a lady's hat, that moment was epic! It's not Daisy's fault that she got into the tabloids for her behavior, her ex boyfriend lied, and that was a horrible situation made worse by having to go to Scotland. The idea that her sister is marrying into royalty, that she's always kinda lead a charmed life, while Daisy always seems to be the screw-up, doesn't help! Miles was a really great character! The royal family helped out his when they were in tough times, and now Miles helps out with their scandal-prone son. Sure, he thinks that Daisy has nefarious schemes regarding Sebastian, but once he gets over that, he's a lot of fun to be around! A few words to describe this book would be light, fun, easy, but it also had a few serious moments, like when Daisy realizes how hard it is for Ellie. Or when she had to go home and leave behind Miles. But there was a happy ending, and I really enjoyed it! Yeah, this book was so great, and I'm so glad that we get a sequel so we can have more! Reason Why: Love her writing and it sounded really great! And it's a Prequel & Sequel Challenge 2018 Book!